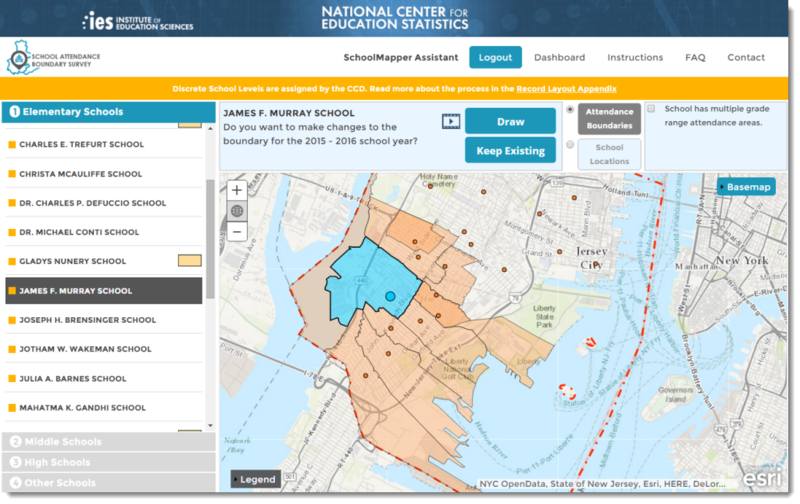 Due to the widespread success of School Mapper for the 2013-2014 school year, it has now been released for the second round of data collection for the 2015-2016 school year. 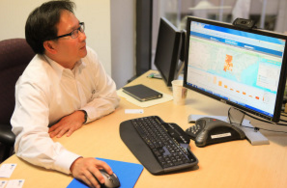 Built in collaboration with the National Center for Education Statistics (NCES) and Sanametrix, School Mapper provides District Superintendents the ability to add, update, and delete the school attendance boundaries within their districts, as well as edit schools locations and details. The updated data is then reviewed and saved as part of the School Attendance Boundary Survey (SABS). Because SABS is an optional survey, the 90.2% completion rate by Superintendents for the 2013-2014 school year is considered exceptional, and led to the continuation of the survey biennially. Being able to update this data set easily and frequently allows researchers to get a narrower view of what is going on for a school’s attendance zone with respect to demographic, social and economic indices, where we previously may have been limited to county or district borders. To make it even simpler: once all schools have been completed within the district, the data can be downloaded as a PDF or shapefile, so that when the next collection starts, the user can upload their shapefile and pick up where they left off.